EIR HAS WITHDRAWN from the bidding for the National Broadband Plan, leaving a question mark hanging over the State’s rural broadband rollout with only one firm left in the running for the contract. It has been confirmed that the company has bowed out from the process, which comes as a major setback for the government’s already-delayed plans to bring speedy broadband to 540,000 homes and businesses in rural areas. According to the Minister for Communications Denis Naughten, Eir decided to exit the National Broadband Plan because of “commercial, regulatory and governance issues”. “The company invested significant time and resources to the process and their withdrawal from the process at this late stage is regrettable,” the minister said through a statement. “The company’s board has decided that the risks are too great for its continued participation in the NBP. Therefore, Eir has taken the difficult decision to withdraw from the tender process,” it said. Taoiseach Leo Varadkar told reporters this evening that he is not sure of the implications of Eir’s withdrawal but said the government is keen to conclude a contract. Last year, it was dealt a significant blow when Vodafone-ESB joint venture Siro withdrew from the bidding. Eir’s decision to exit will leave just one company, Enet, in the bidding for the State contract, leaving open the possibility that the government will need to scrap or restart the tender process in order to achieve a good deal for taxpayers. Enet has since issued a statement insisting that its consortium – which includes utility company SSE – is still committed to the project. Speaking to reporters this evening, Minister Naughten said the fact that just one bidder remains means the process could now be sped up with work beginning much quicker. “I spoke to David McCourt today, they’re very anxious to deliver on this project because they see this very much as a shop window with which to securing other similar contracts across Europe,” he said. 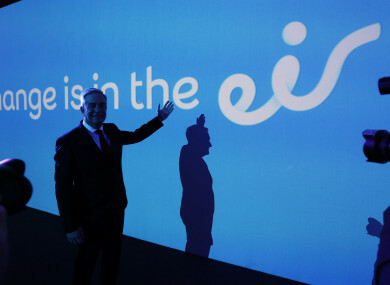 Eir has been proceeding with its own rural broadband rollout, a move that took 300,000 premises off the list for the State-subsided National Broadband Plan. In July of last year, Communications Minister Denis Naughten hinted that work on the National Broadband Plan wouldn’t commence until the end of 2018. It was previously stated that a tender contract for the project would be signed by mid-2016. Another delay to the National Broadband Plan would be a major blow for businesses and residents in rural Ireland. The country has habitually scored poorly in comparison to other EU countries when it comes to the percentage of households that have access to broadband. With reporting by Rónán Duffy and Christina Finn. Email “The National Broadband Plan hangs in the balance as Eir 'reluctantly' quits the project”. Feedback on “The National Broadband Plan hangs in the balance as Eir 'reluctantly' quits the project”.